Hey everyone! If you’re new around here, I started tracking my blogging income through these income reports in mid-2016. This is a great way for me to keep an eye on my progress of doing M$M full-time, and it’s also a great way for you to follow along as well if you’re thinking of starting an online business! I can’t wait to look back on these several years from now and see how far the site has come. It’s already been crazy so far. On a personal level – life is awesome. I feel like I've been able to create a really good work-life balance while making great money at the same time. A lot of you have wanted to start your own blogs after seeing the success that I’ve had, and I highly recommend it. If I hadn’t taken a shot on M$M, I would still be stuck in a career I didn’t really enjoy very much. Jump on the waitlist for my marketing course! You'll see this a little later in my income report, but one of the most important income streams that I currently have is from running a digital marketing business through my blog. Over the past two years, I've made tens of thousands of dollars by running marketing operations for small businesses. There are a lot of great ways to make money from a blog, but I think using a blog as a portfolio to get marketing work from local small businesses is the fastest monetization strategy that requires the least amount of traffic. This is the only way I was able to survive and bring in money after I quit my job to run my blog, and I think it's the ultimate side hustle for someone that wants to make money online. Within a few months of leaving my teaching job, I literally replaced my salary with marketing work through my site. I 100% believe that bloggers can and should be making money this way. So, I'll be working on this course for the rest of the summer and will open it for enrollment a little later in the year. So far I’ve had over 1,000 people sign up for my blogging course since it debuted in February, and the reviews have been great! Even if you are just thinking about starting a blog or want to figure out how to get more traffic to one you already have, this will be useful for you. Even though this wasn't the highest income month I've ever had, I think it may be the most excited I've ever been about an income report so far! Coral and I went on vacation to Aruba for a week (I'll talk more about that later) and not only did my income remain steady but I also made more affiliate income than I ever have before. It sounds weird, but I can't wait till the summer is over. There are just a lot of indicators I'm seeing right now with my traffic and sales that make me think the last few months of the year are going to be freaking awesome for my online business. This was the first month in a while that I didn't actively try to do any blog coaching. As much as I loved doing coaching sessions, it just wasn't the most effective use of my time moving forward. Fortunately I have managed to pack a lot of the information that I give to beginner bloggers in my free blogging course, so definitely check it out if you haven't. I'm SO stoked about my advertising revenue right now. This month I'm already seeing a huge rise in my RPM (revenue per thousand views) from ads, and I think that this number could easily double near the end of the year when ad budgets are at their highest in Q4. Fortunately, I’m still going with the staff writing gig I picked up several months ago. I really enjoy this type of work. Even though it’s not passive like some of my other income streams, it definitely helps diversify where the money is coming from for my business. It could end at any time, but so far I've really loved this writing job. A lot of you have asked me about this gig – it really just came to me randomly one day because of how big the site is, so I can’t give you sage advice for how to get one that pays quite this much unfortunately. BUT, a ton of readers have recommended Upwork.com for freelance writing gigs, so if you’re interested I would check it out. If you’re new to M$M, I’ll just catch you up really quick! When I left my job almost two years ago to start working for myself, I wasn’t making much money at all. The site itself had made around $3 when I took the leap of faith (please don’t do what I did). A reader really liked my story and work on the site, and became my first marketing client. This is a great way to make money when you first start blogging because the skill-set is identical to what you do with your own site. This income stream isn't my biggest, but for me it's the most important. This money is what helps me sleep at night because it's consistent and I love the work. 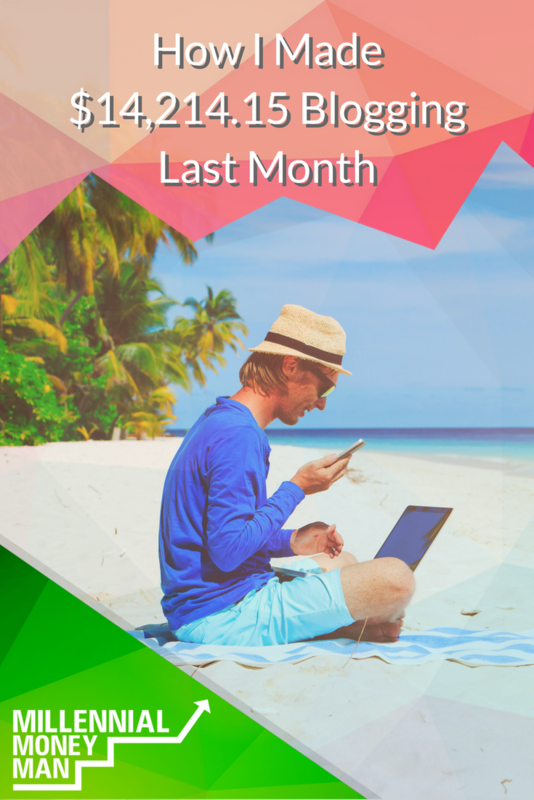 The course that I mentioned earlier (you really need to sign up for the waiting list at the beginning of this post if you're interested in making steady money online) will cover everything you need to know about how I make money this way. I took a week off from my business this month (and didn't see a drop in revenue)! This month was the first that I really felt secure with my business and realized that I've actually achieved a legit laptop lifestyle. Still surreal to me – I would have been doing band camp or something at this time two years ago haha. Coral and I went to Aruba for a week (I highly recommend), and I was able to take some meaningful time away from my business. I still checked in on things from time to time, but my auto-scheduling went off without a hitch and I wasn't freaked out that everything was going to crash and burn. It all made me realize that Coral and I are probably going to be able to do some really good traveling over the next few years while still making money, which is cool. 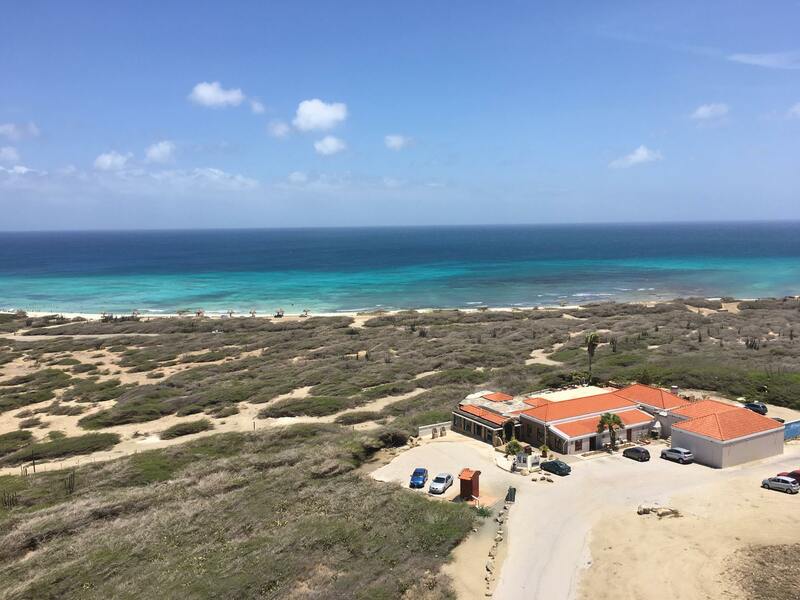 As far as Aruba goes…it was beautiful. Our next big trip is going to be Hawaii, so if you have any travel tips for us I'd love to see them in the comment section! I guess we just have a lot of really exciting things happening in our lives right now haha. We are almost halfway through the build process, and so far *knock on wood* everything has gone pretty well. You always hear horror stories about new construction, but we haven't seen much of that yet. There have been some minor issues, but my business allows me to go to the construction site daily and contact the construction manager anytime I see something off. For example: We have a natural gas line that is going to the back patio (where my future outdoor kitchen will be muahaha), and they put the line on the wrong side of the patio. It's just little things like that here and there, but of course they have to fix all of that stuff before we close on the house later this year. These new Pinterest images for the site are pretty dope (in my humble opinion). Shout out to one of my favorite bloggers Des from Halfbanked.com and a few other cool people for giving me some recommendations on the design. I feel like these are going to help M$M stand out a ton on Pinterest moving forward. Half of the battle is getting noticed on there! I know it may be sappy and I say it a lot, but all of the readers and bloggers that I've met over the past two years make my job sooooo much fun. I truly appreciate every reader (even the ones that disagree with me/correct my grammar haha) and hope that the gratitude comes through in my writing. Without all of you, I wouldn't have a job. That's never lost on me. Awesome in-depth report, I’ve just found your site on twitter and I’m enjoying exploring so far! Glad you found it Claire! Awesome work Bobby! Glad you were able to take a vacation, enjoy some relaxing and time off and STILL MAKE MONEY! Woohoo, that’s the goal eh! Aldo – I’m jealous of your home progress. I have frame and it’s been under contract since January. Damn you Dallas weather! Thanks! Sorry to hear that on the house – fortunately it’s gone pretty quickly for us. Dang, still holding strong – and with a week off that’s incredible!! Your home looks like it’s about as finished as mine is – when is your expected close? We just did our pre-drywall walk-through this week and we’re slated to close sometime in October. Keep up the awesome work, you’ve got a sweet deal going and you help people to boot. Love it. Oh and Hawaii…where are you thinking of going? We went to Maui right after we got engaged and loved it. My parents were just there, too, and we’re thinking of going next year (not sure if Maui or another island) for our real honeymoon. No idea on where we are going yet! We are hoping to close in October on the house but I think it will be closer to November. Yay yay yay! It’s great to see you can take some time off for a vacay without feeling the burn in your pocketbook. Fortunately a lot of online businesses can be automated, so they shouldn’t crash and burn if you want to take time off for fun. 🙂 I’m so pumped to see how your house turns out!!! Looking forward to your digital marketing course! Any thoughts on the price yet? How do you find companies to run ads in your sidebars? Do they come to you? I haven’t really sat down and hashed out the price, but I’m thinking somewhere in the $200-$400 range with some different payment options and possibly an affiliate deal as well. Adthrive runs all of my ads for the site – highly recommend. I love everything about this! Congrats on amazing month, while you were gone for a week no less! The house looks amazing. It’s been really fun to keep up with the build on Instagram. Thanks for inspiring, as always. Thanks! 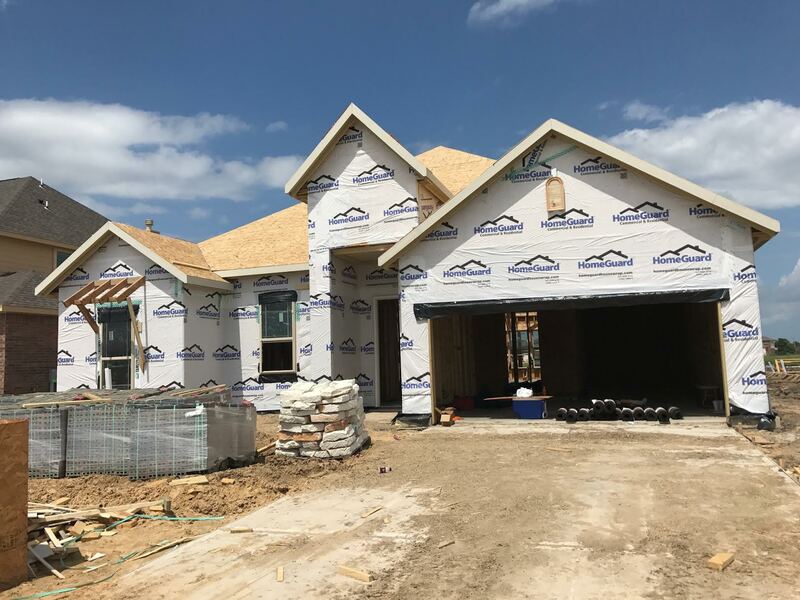 Yeah the house is coming along well – pretty cool seeing the whole process from start to finish! Very excited about your Digital Marketing Course 🙂 Definitely, a great idea to get some alternative income coming in, I imagine what you learnt running your Digital Marketing company was also useful for your blog and vice versa – win win! Yeah I’m very excited about it – I had a hard time choosing what type of course I was going to do, but I’ve just had too many bloggers ask me specifically to make a course about it. Have to go where the demand is! Great job keeping up that income while not working! Honestly…I have no idea so any suggestions would be great! Sure! Okay so when choosing islands, it’s a matter of how you like to vacation, are you very touristy? trying to check out the main attractions, shop, etc. or want a very relaxing vacation where everything is basically sun, sand, and water and you’re happy. Oahu is very touristy and Kauai is very relaxing and Maui has the best of both worlds. Maui has Haleakala Crater (go see the sunrise and it’s the most breathtaking thing, it’s like you’re in the heavens), great snorkeling, luau’s, road to Hana (lovely road trip along the island where you see waterfalls, black lava rock beaches, beautiful views), great golf with ocean views, plenty of excursions. We’d like to go to the Big Island next time, I hear there’s volcanoes and great beaches. Everything is expensive in Hawaii, grocery, meals out, everything! So, we chose to always have breakfast at the condo and cook/grill one meal each day and ate out one meal a day. For us as a family of 5, we love having a place with a kitchen! So this go around to Hawaii, we did Airbnb. We had a wonderful condo that was right along the water, it had a pool, shuffleboard, tennis courts, fitness center, the use of their paddleboards, snorkel gear, very nice place. If you don’t care to do the condo style, then I’d recommend staying at SPG or Hyatt properties with points because that’s the most bang for your buck. Here are the ones where I see the most value: Maui; The Westin Maui Resort & Spa, Ka’anapali or the Andaz. On Kaui; the north side The Westin Princeville Ocean Resort Villas or Sheraton Kauai Resort on the south side of island. -Try a Hawaiian white pineapple! so delicious, not very acidic, more sweet. -In Maui, if you like sweets, best place for cream puffs in the world is Komoda Bakery in Makawao!!! -Best tip ever- if you have a Costco membership, go get some goods at Costco to cook. The prices are the same as the mainland!!! There’s probably much more I can add, but the kids are waking from their naps now, haha. Any specific questions, please just let me know. Wow, $84 is impressive. Care to share what you did? Yep, I am a big travel hacker. I love to acquire miles and points. For this particular trip we ended up using United Airlines to book the tickets. Roundtrip from mainland was 45k points each, to island hop it was 6k each. So each person was an output of 51k for a total of 255k points. and the only cash we had to spend was the airlines fees which totaled $84 altogether. I think it was pretty good because roundtrip airfare is about $800 -1000 normally. So if you were to take the cash value of our points it was only $2,550 versus a minimum of $4000. Well, of course right now, I saw some articles of tickets being on $350 RT from Seattle! How I got the points- I had opened one United credit card and that was 50k points and I had a couple of Chase credit cards that earn Ultimate Rewards. With the bonuses of the Chase cards and our normal spend after one full year, we were able to hit the points needed to get these flights. If it’s just you and a spouse, it’s very easy to meet these bonuses by each opening a card and you’ll be golden. Hope this helps! Killin it, congratulations on another great month! Wow, it’s hard to believe you left your job before the site made double digits. Goes to show that anyone with passion, knowledge, and work ethic can achieve great things. I definitely have a long long way to go, thanks for endless inspiration! Of course! I left a little early to be honest, but the marketing gigs were what kept me afloat until the blog grew. Congrats on the income becoming truly passive. At least for a week 🙂 Your work has been a real inspiration so far! The house is coming along great! Glad you don’t have the horror stories to add on top of everything else. Quick question: Lendedu, where can I sign-up as an affiliate? Check out my income reports – I have a link to the LendEDU portal there where I list my affiliate income.